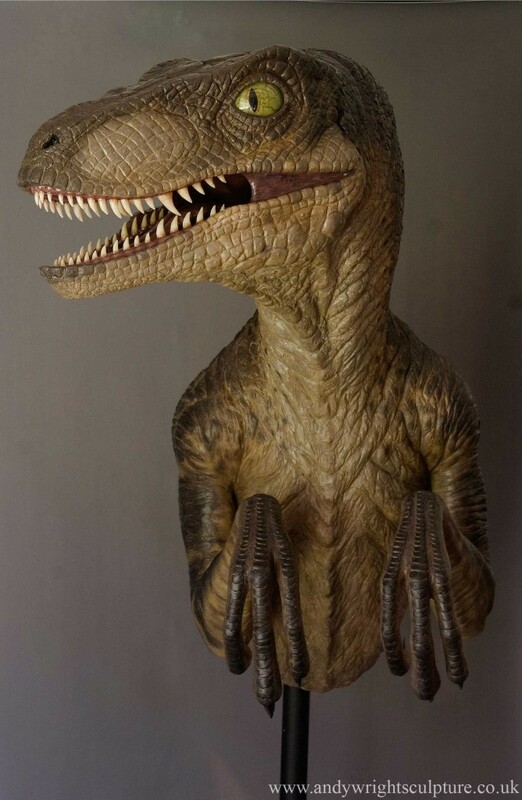 To create the Velociraptor bust, I started by collected as many photos of the animatronic suits being built as I could find. Also publicity photographs of them, and any angles I didn’t have, I gained from making screen captures from the movie. I then built a very sturdy steel armature with chicken wire over that to create the rough form. I then applied water based clay to it, building up the form of the dinosaur. Over three weeks the sculpture was refined until I was happy with the shape. 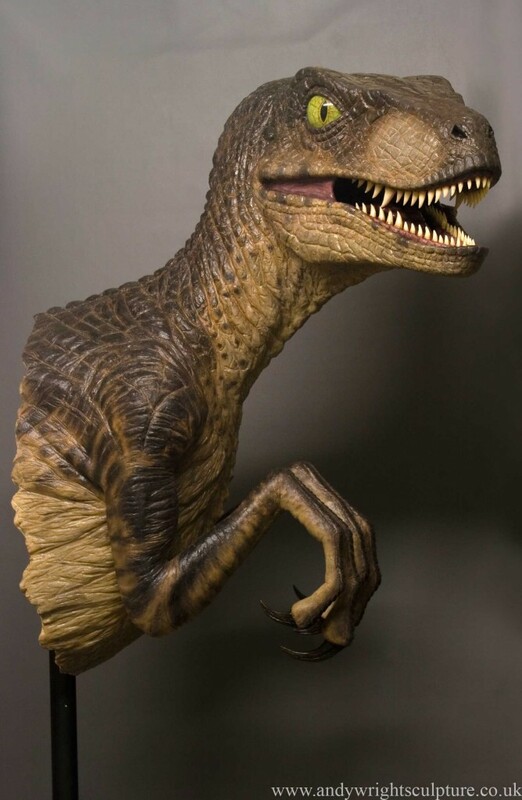 I then added the details of the skin – which was quite a long process trying to match the animatronic suits from the film. With the sculpture completed, it was moulded in sections from fibreglass. From this mould a silicone skinned casting on a fibreglass core was taken. Seams were removed and release agents cleaned. It was then painted to emulate the film finish using various shades of brown. The mouth insides were sculpted as seperate top and bottom parts, moulded. These were then cast in dental acrylic and painted in washes to give a fleshy feel. His eyes were made from acrylic also and pigments. Finally, a steel base was made to support the weight of him!